A small boat survey for a pipe route survey between the mainland, sur Bennias Is. and Dalma Is in the UAE. 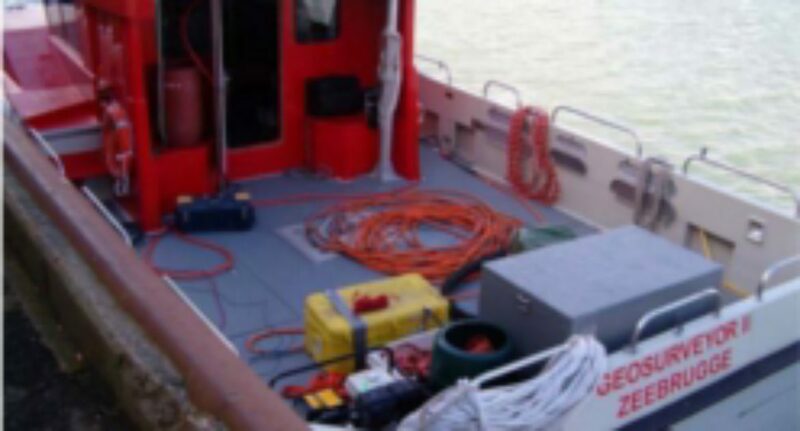 The survey involved the deployment of several autonomous submersible tide sensors, a Geopulse pinger, single beam echosounder, magnetometer and side scan sonar. This project was a rig placement survey off Kassab in Oman, to meet operational and insurance requirements. The client required a geophysical survey of the proposed rig location including, Side Scan, Sub Bottom profiling (Pinger and Boomer), and Single Beam, all run simultaneously. Water column profiling was also undertaken. OEMG-Global has a long history of working in conjunction with other contractors in challenging projects. The Aquares Resistivity System has also been used side by side with other methods to ensure that the data it provides is reliable. In all cases it passes this test and provides superior results to other methods in use. Van Oord commissioned OEMG to undertake a resistivity survey in the expansion area of the Cape Lambert port utilising the Demco Aquares Resistivity System. 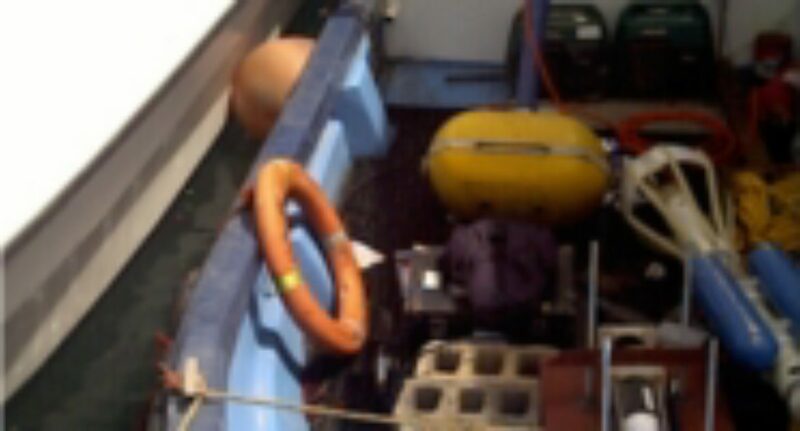 The Aquares survey was undertaken simultaneously with a multi beam survey at speeds of between 4 and 5 knots. The client now has a three dimensional view along with a qualitative and quantitate assessment of the calcarenites present and is able to tailor a dredge campaign accordingly. The RheoCable Method (TRM) is a new and totally unique method for determining the nautical depth in the presence of fluid mud. OEMG Global has partnered with THV Nautic, developer of the RheoCable method to bring the system to the Australasian region. 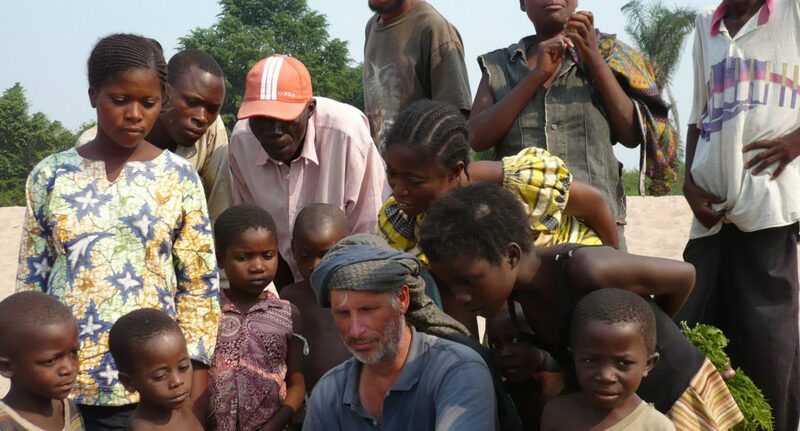 This survey involved the installation of the Aquares resistivity system onto a small boat in remote areas of the DR Congo to search for river gravel in the diamond baring Sankaru river. The feature image shows Jason Errey with a smile a mile wide in his element in a remote and unusual part of the world being paid to do what he loves. 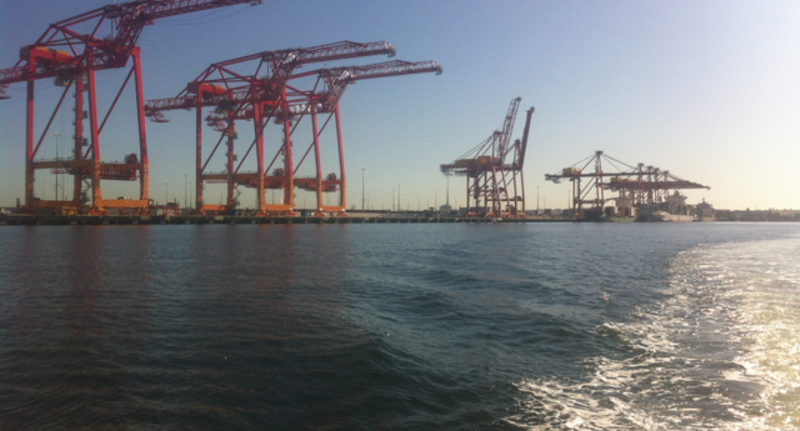 Port Botany expansion pre- tender evaluation survey, 2007. 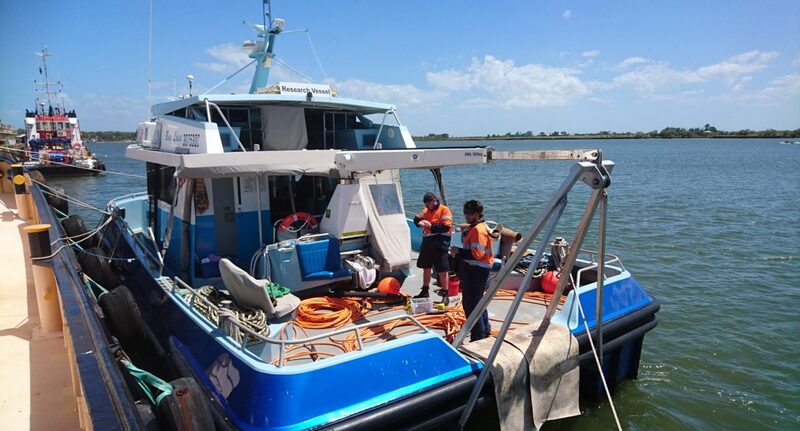 In order to respond to a dredge tender regarding the expansion of Port Botany, Van Oord Marine Contractors decided to carry out an Aquares resistivity survey in the area. 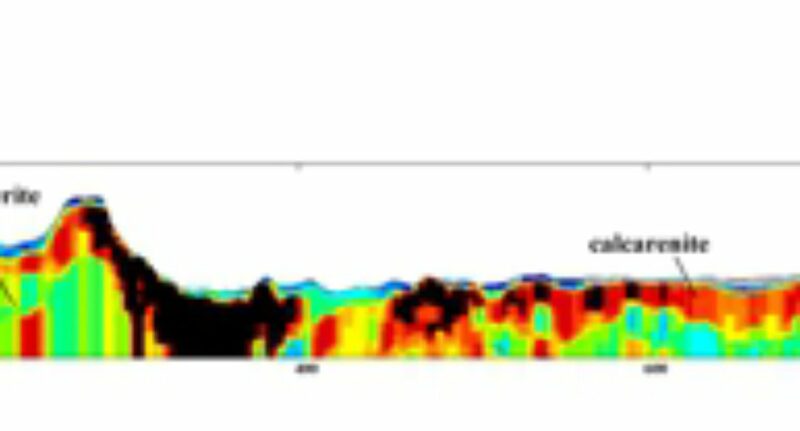 A 3D resistivity model of the survey area clearly outlines different geological structures including harder and softer sediments. 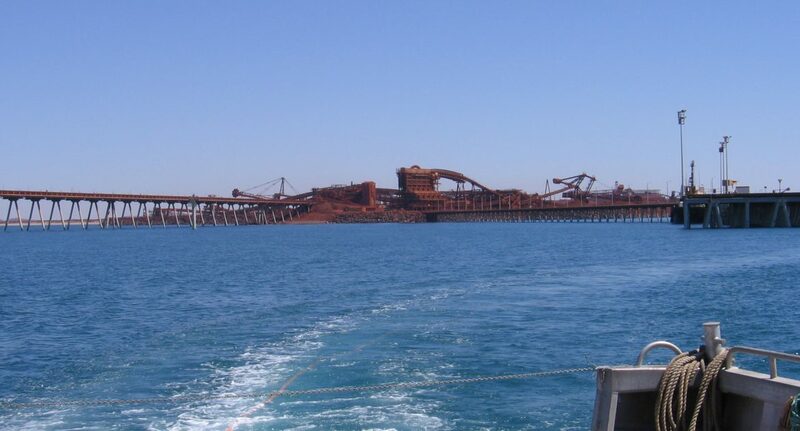 During the Port Dampier port expansion, significant differences were noted by the dredge contractors between the actual seabed conditions and those described as a result of geophysical surveys undertaken by the consultant. In order to minimise further downtime and optimise the dredging, the client requested Demco to complete an Aquares survey of the area. The Aquares survey successfully distinguished between the calcarenite capping, Granophyre Basement and soft sediments. Following the study, the contractors were able to provide the consultant with a realistic estimate of time and cost for dredging operations. A pre dredge study of the Flinders Port, access channel (2005). After geotechnical studies failed to confirm seismic refraction results, the client elected to carry out an Aquares resistivity survey. 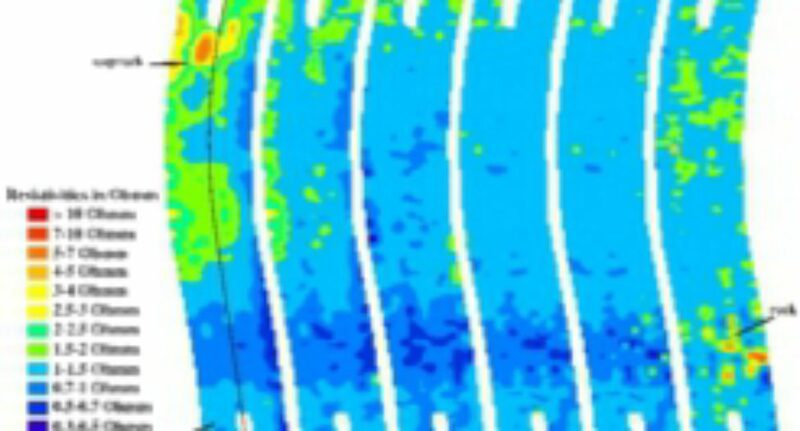 A thick caprock layer was found covering a significant portion of the access channel seabed. 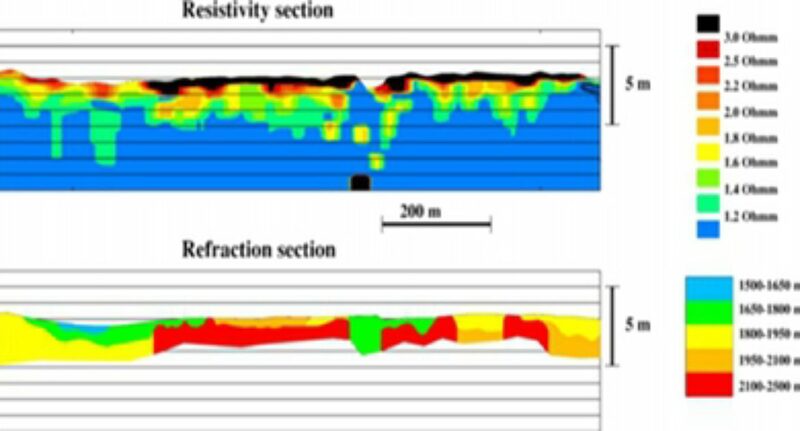 The lateral and vertical extent of this caprock layer was mapped in detail using the resistivity results of survey lines sailed every 20 m. The refraction results show a low velocity layer on top of a high velocity base structure, while the resistivity results suggest the opposite: a high resistivity structure on top of low resistivity sediments at depth. The resistivity results were confirmed by drilling and sampling results. Aquares resistivity system was used to collect and validate data in a pipe route survey conducted between Cape York and Papua New Guinea for Exxon Mobile. The survey comprised Aquares Resistivity, pinger and Side Scan Sonar Surveys being undertaken simultaneously however post analysis provided that the Aquares data was the most relevant to optimise borehole numbers resulting in cost savings for the client.